For the first fourteen years of her life, Lily lived underwater in her father's palace being the princess of Thalassinia. Having only just recently found out that her mother was human, Lily decides to take the opportunity of living on land with her aunt and going to high school. There she finds the interesting and telltale ways of the human world and falls into step with appointed label freak in her high school crowd. With a neighbor--Quince--that bothers and tricks mercilessly, Lily resorts to her usual relaxation of sea salt water baths whenever possible. When the Spring Fling roles around, she knows that the three years she's been on land have not been for waste. Cue Brody Bennett, the swimmer and techie that steals Lily's heart without a second-thought. Only, when word gets around that Bennett might be going stag, Quince deceives a plan of sorts to get Lily and Brody together during the dance. When somewhere along the way, a slight change in the plan leaves Lily with way more consequences than she predicted, a journey is set after a kiss is stolen, to unwind a bond that's said to create massive changes for both sides of the party. 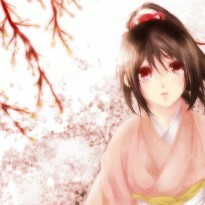 I grew to enjoy Lily's thoughtless character and her slight comical attitude quickly as the book progressed. The pranks and stunts Quince devised her humorous and kept me entertained when he not-so-subtly tried to get in the way of Lily's unhidden love for Brody. The real twist that happened during Lily's high school's Spring Fling is what really set the plot, characters and all-around fantasy aspect in the book into action. I thoroughly enjoyed Lily's under-the-sea references, and couldn't have imagined a character more spirited to be what she was clearly born to be. Moreover, as the book kept having it's minor twists and turns to keep you on your feet, the somewhat predictable ending was not to be overdone. However, when I finally got to the last few chapters, I believed that the author was trying a bit too hard to get the characters where she thought they should go. The epilogue in particular left me flat-out stupefied as to how, at all, that was a good way to end such a great, aspiring tale. From the looks of it, it seemed to have been hinting that there will be a sequel because I could not, for the love of me, find that particularly necessary for any other reason. 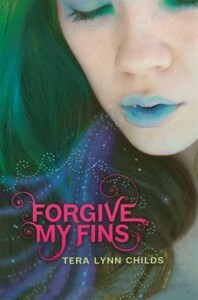 With most of its scenes jam-packed with cute dialogue and description, I cannot stop my self from recommending Forgive My Fins to contemporary-fantasy readers who really love lover's quarrels when it hits bookstores in June.